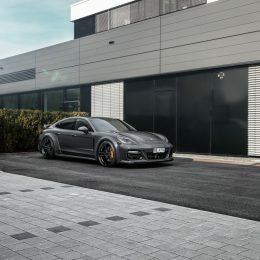 TECHART launches a new stage of highly individual sports saloons – the new TECHART GrandGT based on the Porsche Panamera. 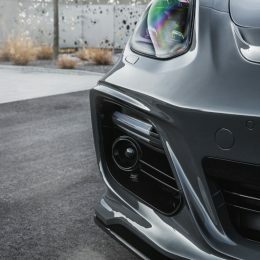 A specific combination of dynamic design and 80 mm increased bodywidth generates the athletic appearance of the GrandGT. 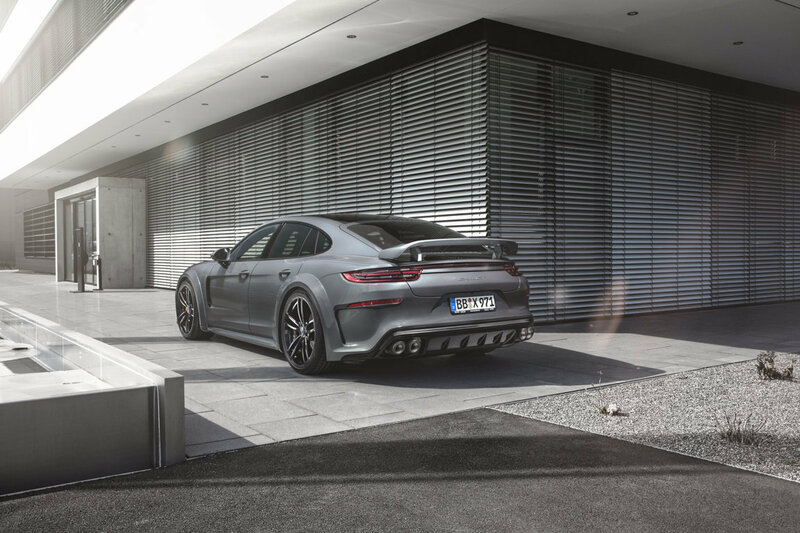 The distinctive aerokit sharpens the emotional appeal of the new Panamera while increasing the downforce at the same time. 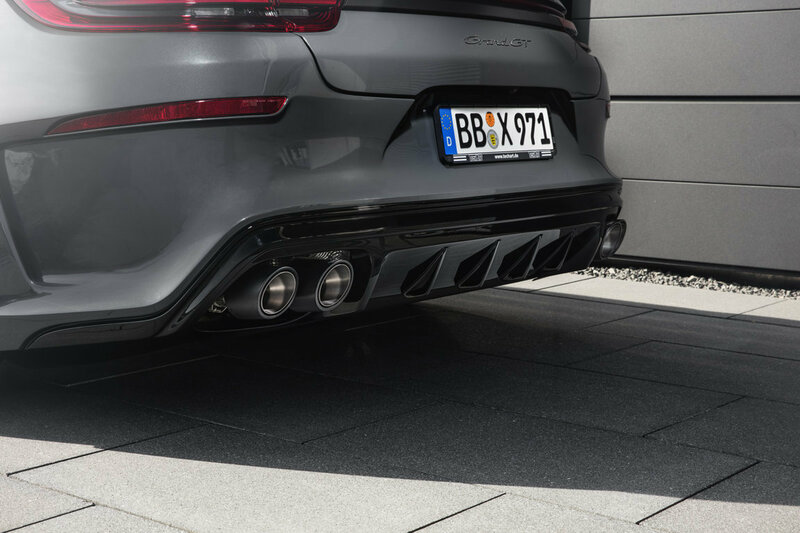 A large contact patch is ensured by weight-optimized, extra wide 22-inch Formula IV alloy wheels. 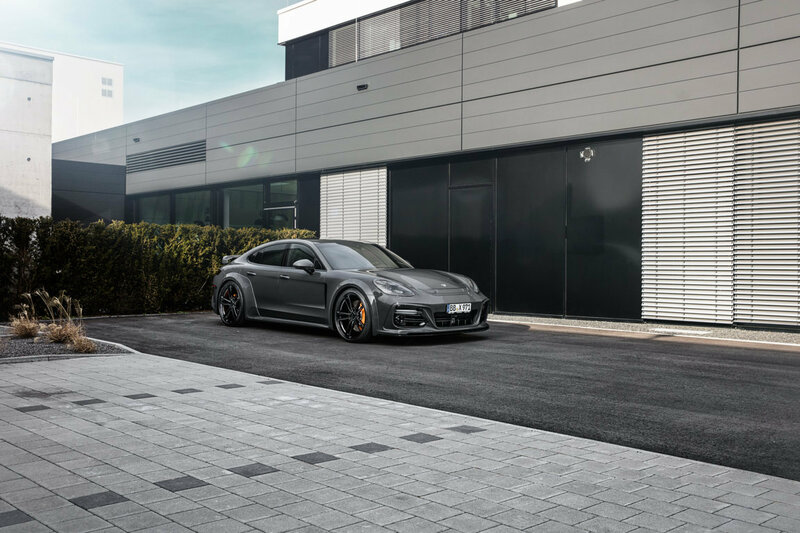 When it comes to the interior, the TECHART Interior Manufactory refines the GrandGT according to the customers’ requests in order to fulfill any luxurious or sporty prefernces. 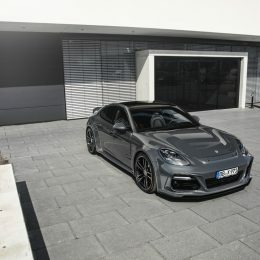 The GrandGT conversion will be available worldwide from June, TECHART powerkits and exhaust systems will be released in the second half of 2017. 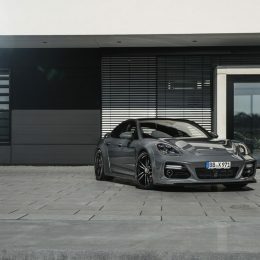 The exterior of the new GrandGT. 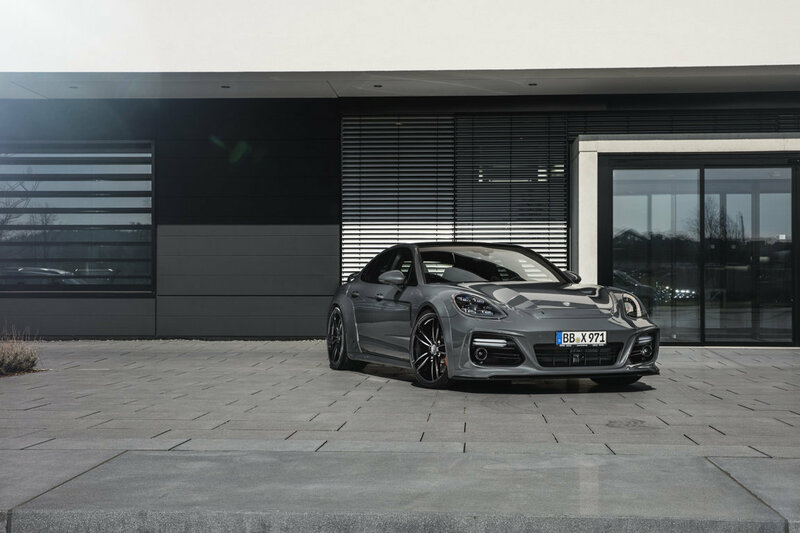 The electrifying design line combined with the increased track width express the individuality of the new GrandGT. 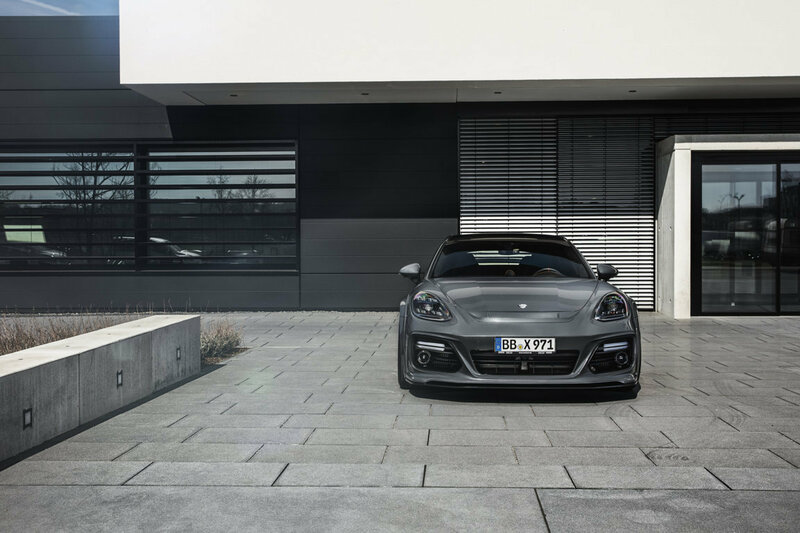 A distinctive front apron with integrated splitter dominates the front view. 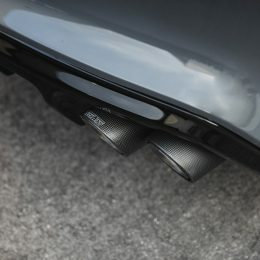 Larger air intakes optimize the airflow to the intercoolers and increase the cooling of the braking system. 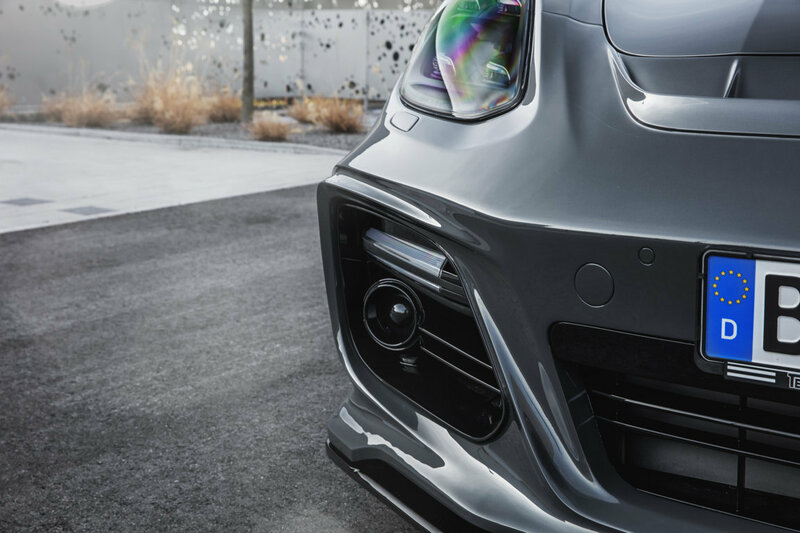 Visually hovering airframes host the radar sensors of the adaptive cruise control (ACC) as well as the front lights. 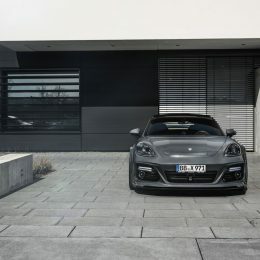 The central air outlet underlines the sportiness of the GrandGT. 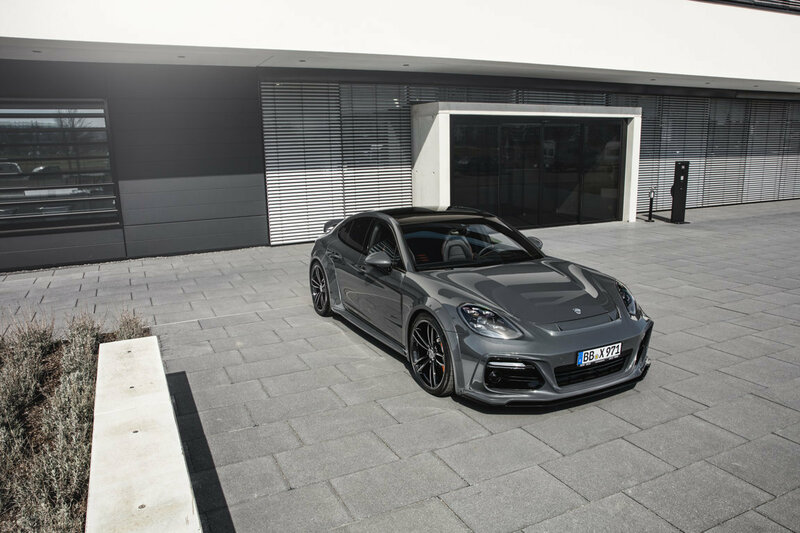 The TECHART Aero Engine Lid – entirely made of carbon fiber – provides the GrandGT with an even more characteristic look. 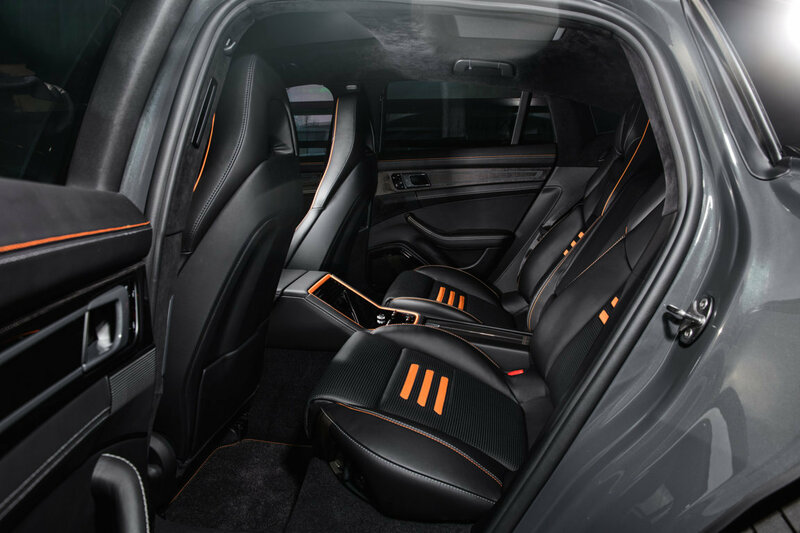 Two prominent lines and an indicated powerdome with a central air outlet point out further sporty accents. The energetic sideview continues the masculine GrandGT design line. 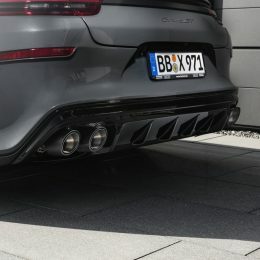 The vehicle width is increased by 50 mm at the front and 80 mm at the rear. 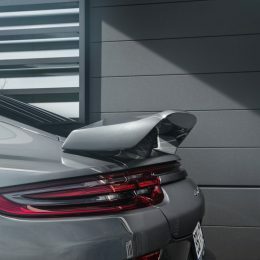 Dynamic side skirts and elegantly shaped wheel arch extensions underline the powerful appearance of the GrandGT. 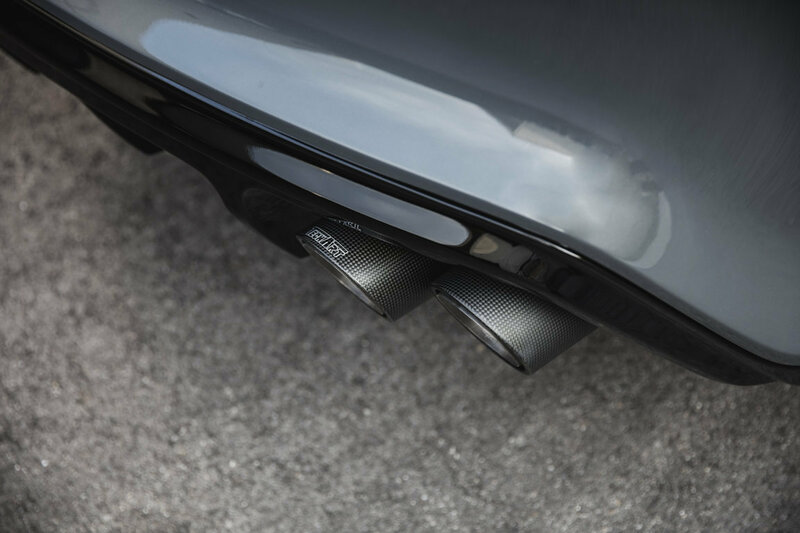 At the GrandGT’s rear a diffusor with hovering design and four distinctive fins borders the titanium double-tailpipes with carbon fiber surrounding. 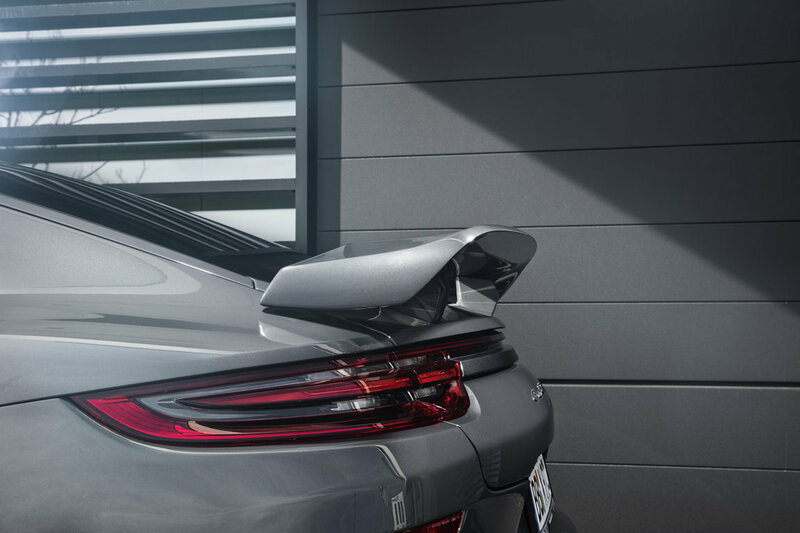 The GrandGT’s athletic look is topped off by the spectacular rear spoiler on the tailgate. Impressive: Large track width and tires. 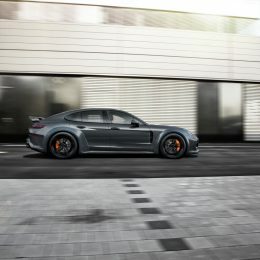 The new Panamera is available with 21-inch wheels as a maximum from the factory. The tire dimensions are 275/35 ZR 21 at the front and 315/30 ZR 21 at the rear. 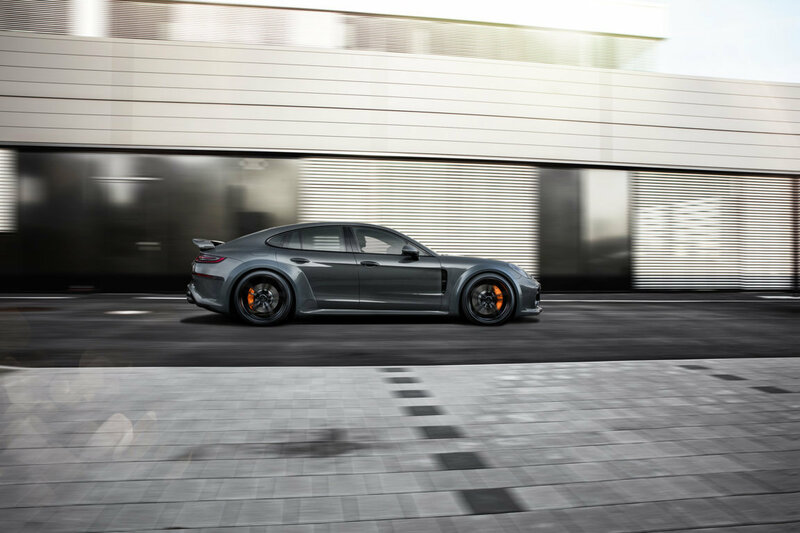 Combined with the GrandGT aerokit, the Panamera gets equipped with wider 22-inch TECHART alloy wheels in the weight-optimized Formula IV design. 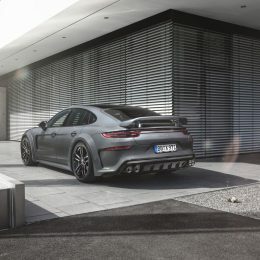 The new tire dimensions are 285/30 ZR 22 at the front and 335/25 ZR 22 at the rear, providing both, stunning design and sporty road handling. 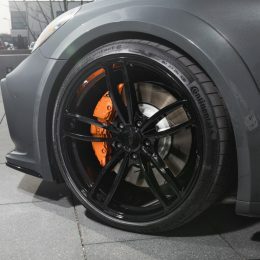 The dynamic twin-spokes wheel is available in attractive standard color variants as well as in custom colors to match the color concept of the particular GrandGT. 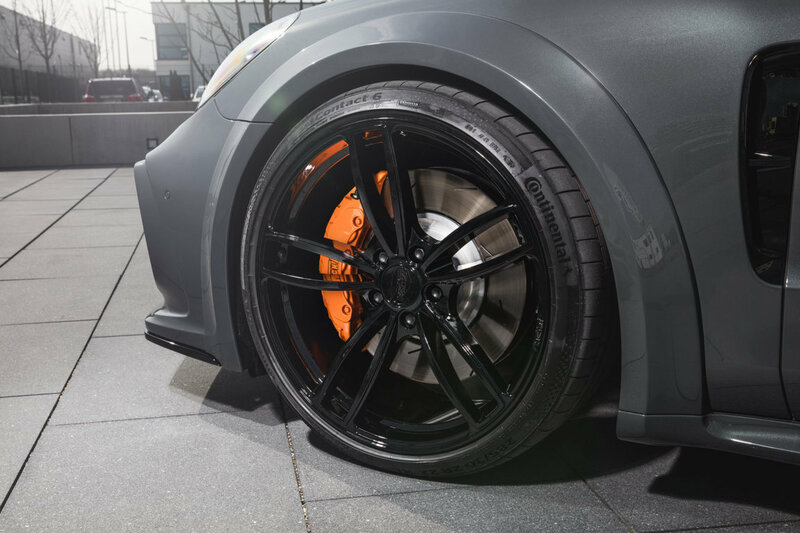 The brake calipers can be individualized with a high temperature resistant coating in custom color, too. 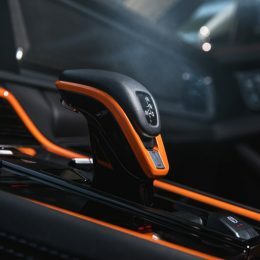 Geared to the overall concept of the car, the TECHART Interior Manufactory refines the interior down to the last detail. 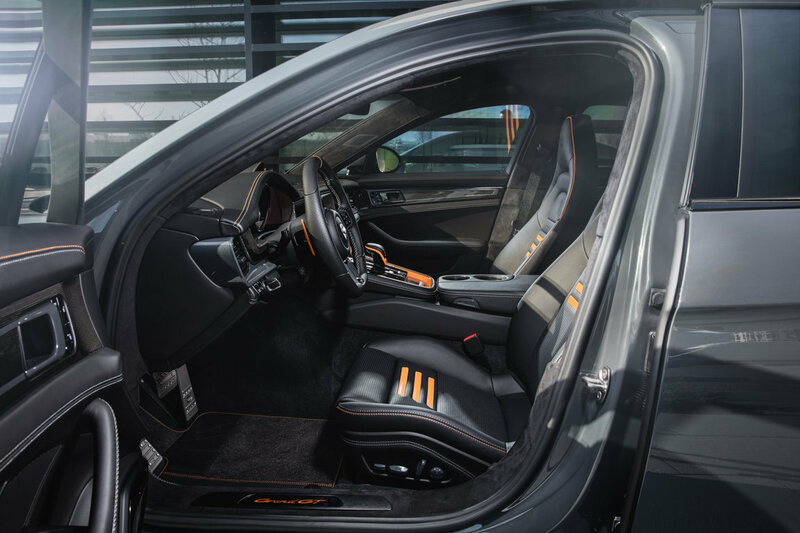 The master craftsmen at TECHART are prepared to create a custom-made interior according to the customers very personal perception and taste. 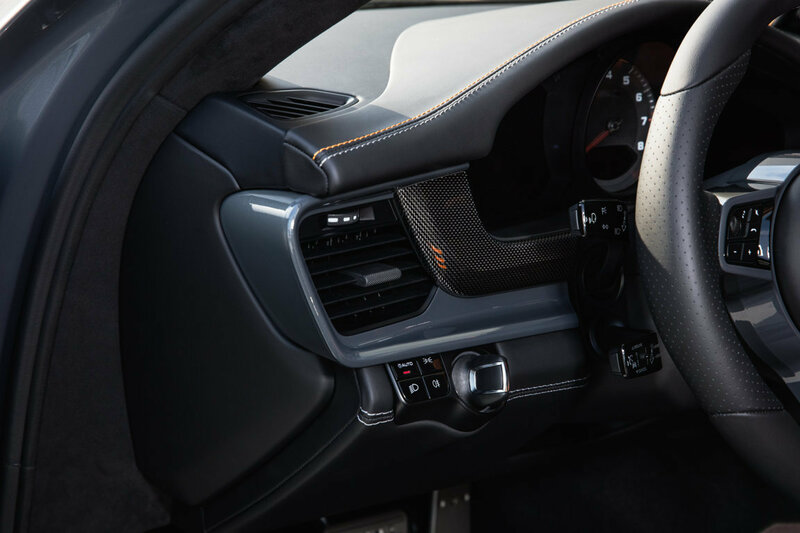 Finest leather and Alcantara® is merged with laquered or carbon refined surfaces to a completely individual composition. 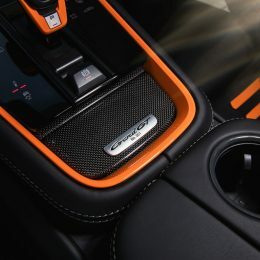 The TECHART Type-7 sport steering wheel impresses with its smaller diameter (360 mm) and its ergonomic shape. 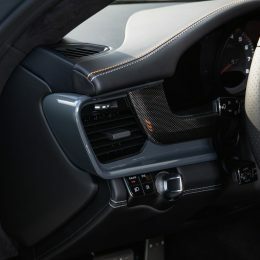 From the raw steering wheel rim, TECHART’s master craftsmen then give it its typical ergonomic shape, padding and finishing with finest leather, lacquered trims, carbon fiber segments, Alcantara®, leather piping and any other TECHART options the customers may choose to individualize their steering wheel before it is finally sewed by hand. 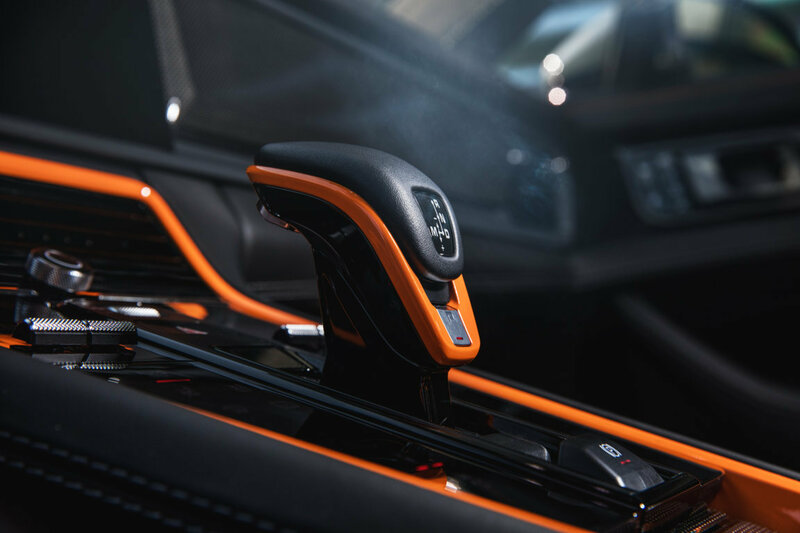 Even the paddle shifters can be refined with TECHART’s paddle trims, made of fine leather or Alcantara®. 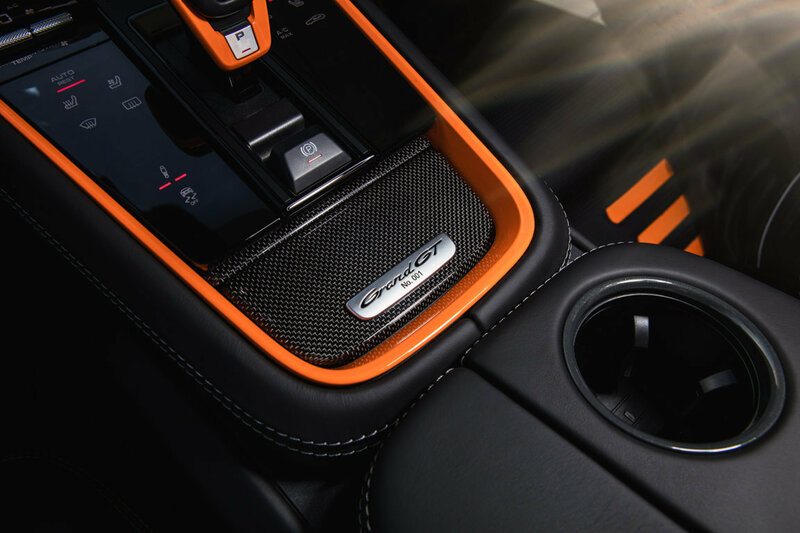 Illuminated door entry guards with individual logotype and anodized TECHART aluminium sport pedals complete the GrandGT’s interior.